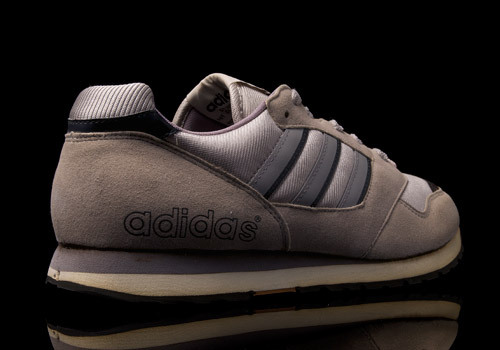 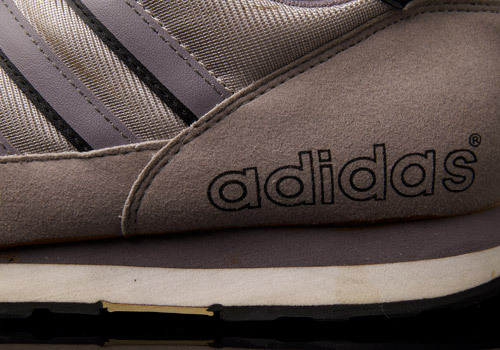 This vintage adidas Originals running shoe from 1989 is not only hard to come by these days but mostly unheard of for the modern sneaker consumer. 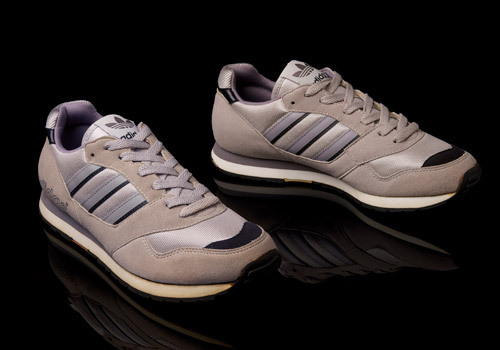 The same year the Quasar was dropped in multiple colorways, one of which was this grey, black, and silver model. 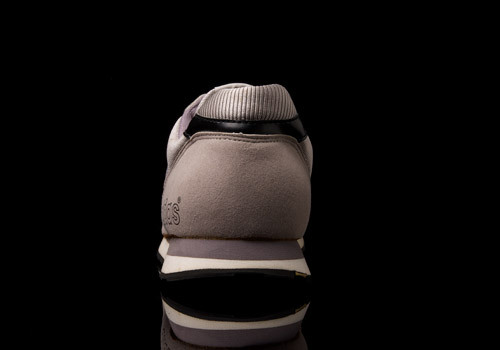 The upper is made of soft, grey synthetic material, with areas on the sides, heel, tongue, and toe box covered in a silvery mesh. 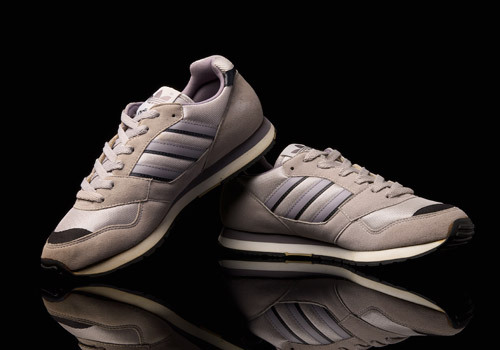 Black and dark gray accents can be found in the leather side stripes and heel patch, as well as on the soft synthetic toe reinforcement. 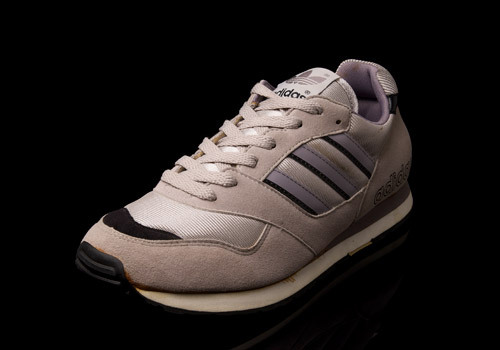 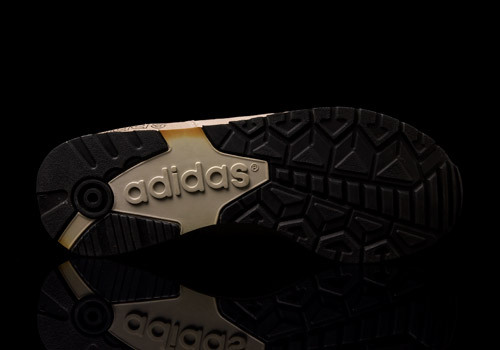 The adidas name text can be seen in black block lettering on the outside of each shoe’s heel. 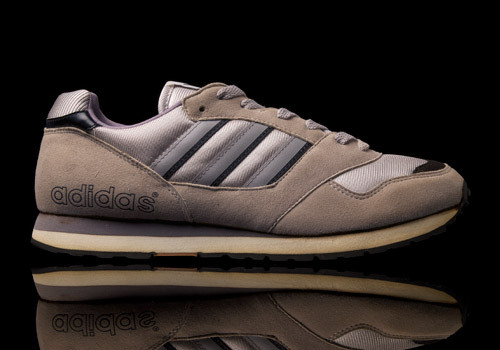 A grey and white midsole keeps the wearer’s heels well off the ground while the firm, black outsole provides great traction, curving up the front of the toe box for extra forefoot grip on stops and turns. 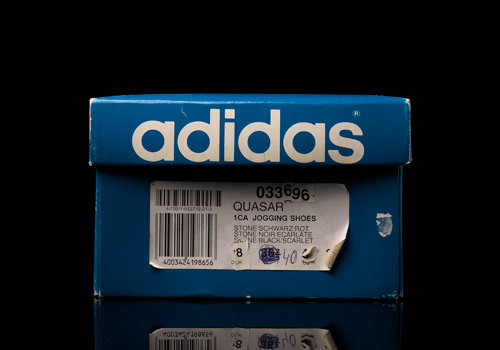 The shoes come packaged in a royal blue, vintage style, adidas Originals box with matching grey laces.